Brotherhood, networking, philanthropic activities, social experiences, lifelong friendships, and everlasting memories are some of the countless reasons to join a Greek organization like Alpha Epsilon Pi. Please take a look below at some of the statistics of Fraternities and Sororities to help decide if Greek Life is the correct choice for you. Greeks make up 3% of the population in the US. All but four US Presidents since 1825 have been fraternity men. Over 75% of US Congress members were in fraternities or sororities. Over 85% of Fortune 500 executives are Greek. 76% of the US Senate is Greek. More than 7 million men and women in the US and Canada are Greek. 71% of Greeks graduate while only 50% of Non-Greeks graduate from college. Since 1910, 85% of Supreme Court Justices have been Greek. Three Canadian Prime Ministers have been Greek. 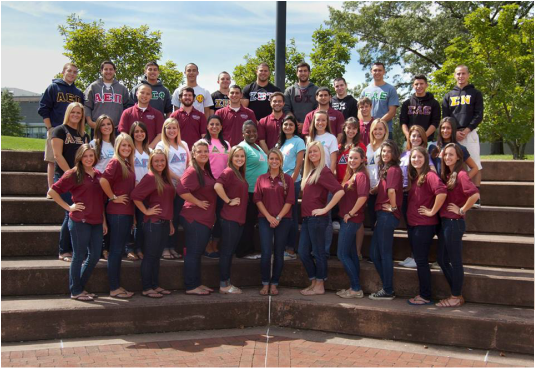 Over 85% of the student leaders on 730 college campuses are members of the Greek Community. There are more than 7,000 chapters at over 800 campuses in the United States and Canada with over 500,000 undergraduate members. Seven out of ten people listed in "Who's Who in America" are Greek. 63% of all Cabinet members since the year 1900 have been Greek. The overall Greek GPA is higher than the overall collegiate GPA in the US. Both women elected to the Supreme Court were in a sorority. Each fraternity and sorority host at least one philanthropy a year.